SwipedOn can be used in both landscape and portrait orientation on the iPad. How to enable portrait mode on the iPad? 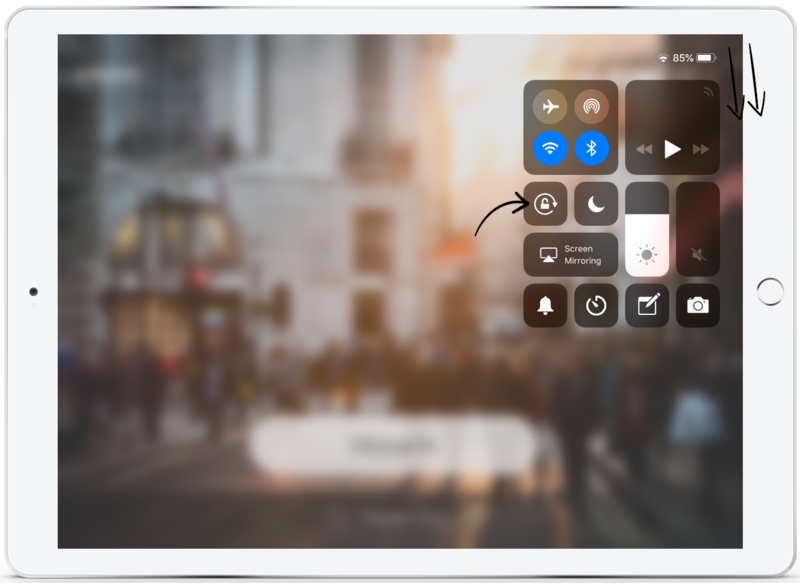 Confirm the rotation function is unlocked on an iPad, to do so, use two fingers and drag downwards from the top right corner of the iPad to access the Control Centre. Then tap the lock icon to unlock the screen in order to rotate to portrait. *Please note, if using an iPad running iOS 10 or earlier, please find this option with the iPad's 'Settings'. Once the above steps have been completed simply rotate the iPad to portrait and you are good to go!